I have a few questions for you about fertility and getting pregnant. I gave birth this year in February to my first child, she died after 3 days, due to some complications from me having diabetes very early or right before conception with her. The doctor’s were never quite sure which took place first, the diabetes or the conception. I have PCOS and have recently started on vitex extract. I did have a menstrual cycle this month after not having one for the past 2 months. But this cycle was very long. It lasted around 3 weeks. It started out very slow with some brown blood in the beginning for a few days, then some light spotting for a few days, then a heavy flow of blood for the duration of the cycle. When i do manage to have a cycle on my own it last around 9-10 days. My question is vitex to be continued even during your menstrual flow. Also, I have incorporated several other herbs, such as dang qui, nettle, red clover, astragulas, milk thistle, and maca along with the vitex. Another inquiry that I had was about the fertility shake that I have really grown to love by the way. I have heard many times that it is not recommended that women with PCOS consume to many cold or damp foods such as cold drinks or dairy products. With that said do you think that this would be beneficial for me to take daily? Hethir any enlightenment or suggestions that you can give me in this matter will be appreciated. I am eager to get my body back on track to be able to conceive. Go ahead and take vitex all month long, the other herbs sound fine but the biggest impact for PCOS is following a PCOS fertility diet. It is similar to the fertility diet mentioned here, but you will want to make sure you are eating equal amounts of proteins and carbohydrates every meal, eat 5 smaller meals a day, exercise 30 min. 5x week, eat only organic meats, no sugars, and no dairy. You are correct about the “dampness”… The smoothie is very beneficial, but for PCOS it may be too cold and damp. BUT Juicing fresh vegetable juices would be awesome for you. 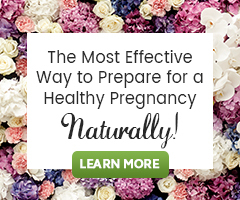 Are you taking a Prenatal ( I love MegaFood Baby & Me) and EFA’s (evening primrose from menstruation to ovulation, Cod liver oil from ovulation to menstruation.)? That is a good start, I am creating a program specifically for PCOS that is much more complete, but this should give you a great start in the mean time. High five for making the changes that you have! Exercise and being active is indeed a very good thing. I have not heard of Hyponidd before and although I can not speak to its effectiveness, it seems like it has potential. We include Gymnema in our PCOS herbal formula for helping the body manage healthy insulin levels. Consider also the tips in our guide How to Reduce the Damaging Effects of PCOS on Fertility Through Diet and Herbs. In addition to managing weight, it is important to support your body in re-learning balance by promoting healthy hormonal balance, a healthy uterine lining, regular ovulation, improved estrogen metabolism, reduced cravings for sweets and improved digestion… all of which you will learn how to do in the article above. I can not speak to the efficacy of these medications or compare them for you. PCOS is a complex endocrine system disorder. The main function of the endocrine system is to serve as the message center of the body, coordinating hormones as they deliver messages throughout the body. Because of the complexity of PCOS it requires long-term lifestyle changes. We support this as well as offer herbs, supplements and natural therapies you might try in supporting your body in dealing with PCOS. You will find important information in this article written by our senior herbalist titled How to Reduce the Damaging Effects of PCOS on Fertility Through Diet and Herbs. I also have PCOS and want to get pregnant. I have a question about no dairy. Is goat cheese or regular yogurt okay? I have been researching a lot into all this and I am a little confused about it all. Any dairy that is pasteurized is flash heated and usually does not contain good digestive enzymes anymore. All dairy is congesting, creates excess mucous production and is considered stagnating for the body. We advise against eating it or limiting consumption if you have stagnant fertility conditions such as PCOS, uterine fibroids, or endometriosis. Another reason to avoid dairy, is non-organic diary contains hormones, which may contribute to more hormonal imbalance in the body. Goat cheese and yogurt are better choices than say cheddar or milk. Goat’s milk is close in nutrition to human breast milk and is much easier to digest, which make this animals milk more compatible for absorption and digestion than cow’s milk.